Armed bandits attacked Baddarawa village of Shinkafi Local Government Area of Zamfara State, killing 13 persons and injuring several others. The attackers stormed the village in the early hours of Thursday and began shooting sporadically, ransacking houses. 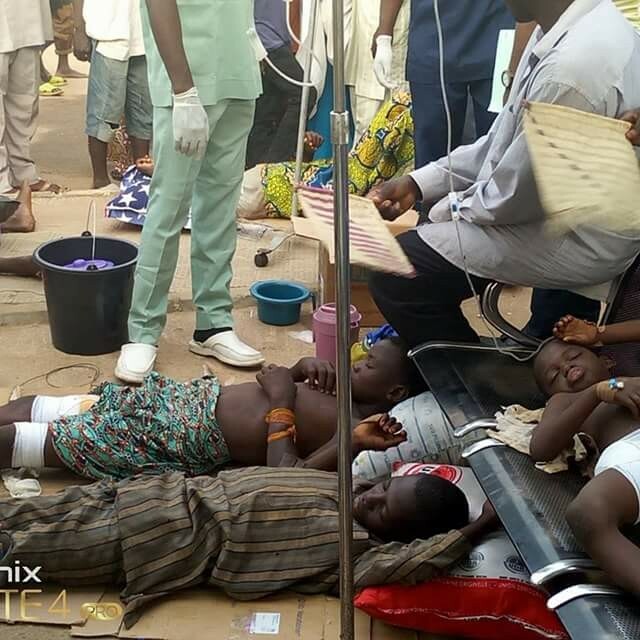 Some of the children injured in the attack are pictured on the floor at Specialist hospital, Gusau being attended to by nurses and doctors.